The water flows over this old dam, beside a rusty old water wheel - and old mill site - then cascades a few more feet into a pool (making it only a partially manmade falls). It is located on property owned by the City of Weaverville at Lake Louise Park. From downtown Weaverville, take Merrimon Ave. (US Hwy. 25) South to Lake Louise. Pass the lake and turn right on W Lakeshore Dr. Park in one of the many designated spaces along the drive. Follow the lakeshore path around to the dam (there is a drain pipe in the lake at the dam). 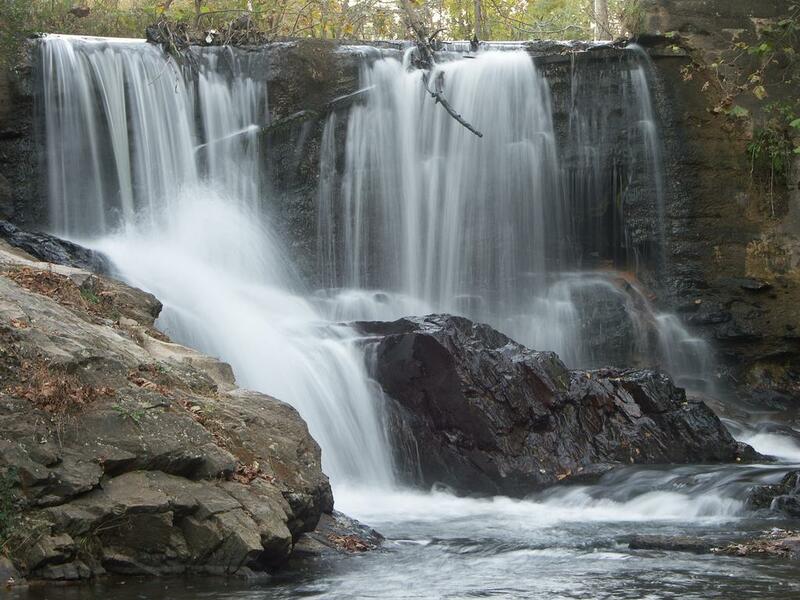 You can hear the falls down on your left; a path leads down to the creek, dam, and water wheel.